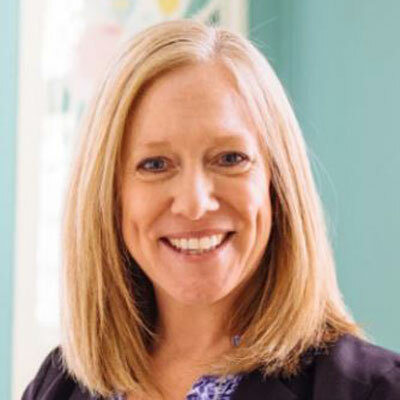 Director, Partner Marketing, Datto, Inc.
As Director of Partner Marketing, Caroline's primary role is to drive the global strategy and development of Datto's partner program and partner enablement initiatives. This involves collaborating with various teams internally such as Sales, Marketing, Support, Product Management, and Customer Success, to develop the right programs and sales and marketing tools to help partners drive leads, close deals, and grow their project and monthly recurring revenue. Caroline has 11+ years of experience working in the channel with expertise in channel enablement, channel sales, and growing strategic alliances in the technology industry. Notable is the seven years she spent as a senior channel development manager where she worked with top partners in North America on various business growth and partnering initiatives. Most recently, Caroline led the launch and management of the global Autotask partner program which resulted in 1400 partners in just two year's time. Caroline was recently recognized with her first "CRN Channel Chief " award and instills a great level of passion and dedication to the channel to help Managed Service Providers and IT Service Providers be successful. She is very much looking forward to carrying this over to her current role at Datto. In the last year, Caroline led three critical business initiatives that helped advance Autotask's partner program prior to merging with Datto. 1. Caroline developed the Autotask Partner program for the new Endpoint Backup solution, acquiring 400+ partners globally in year one. Caroline created and released a partner playbook and toolkit to give partners the marketing and sales tools they needed to go to market with ease and reduce their time to revenue. Caroline also worked closely with senior sales leadership to ensure the sales team had the tools necessary to help achieve company revenue objectives. 2. Caroline joined forces with an industry-leading marketing and sales automation vendor and combined their platform with co-brandable assets to help partners go to market with ease. The platform was branded as PipelinePRO to support growth initiatives for partners. As partners often have marketing resource constraints, PipelinePRO includes pre-built, customizable email and social drip campaigns that allow partners to focus on generating leads, building their pipeline and growing their MRR. 3. Caroline launched an MDF pilot program, engaging with partners in joint marketing initiatives to help them generate leads and grow their business with new managed services using Autotask Workplace and Autotask Endpoint Backup. Caroline's primary goal this year is to help bring two global partner programs (legacy Datto and legacy Autotask) together under one umbrella while leveraging current programs and recent enhancements to support Datto's revenue objectives. In addition, her team will continue to focus on enabling partners to run a profitable business and increase their project and monthly recurring revenue. A key driver of success will be merging the marketing automation platforms (MarketNow and PipelinePRO) that provide partners with pre-built email and social drip campaigns, co-brandable assets and intuitive dashboard reporting to help them build sales pipeline and win more business. Caroline recently received her first-ever CRN Channel Chief recognition. This award identifies channel executives who consistently defend, promote and execute effective channel partner programs and strategies. Caroline was recognized for her efforts in 2017 as she developed and launched Autotask's second partner program in 14 months, resulting in 1400 total partners after two year's time. Caroline is dedicated to the partner community and has plans for driving effective channel programs and partner growth in 2018 and beyond. Caroline admires Lori Greiner, an American inventor and entrepreneur, also known for her success on the TV show Shark Tank. Caroline admits she's a fan of the show and feels Lori is paving the way for women in business today. Lori specializes in product development and marketing and has invented more than 600 products and currently holds ~120 US and foreign patents. She is very driven and teaches aspiring professionals that hard work and dedication pays off. Caroline admires how Lori always responds to challenges and objections with professionalism and grace, while always doing what's best for her business. The corporate world can be challenging, and women sometimes have to work extra hard to prove themselves and be taken seriously. Caroline would tell her 16-year-old self, "Don't be afraid to speak up, have confidence in your skills, lead by example, treat others as you want to be treated, and success will follow." If there is one new job-related skill Caroline could master, it would be reporting in Excel and being able to transform data visually to tell a story. While Caroline has a very strong ability to interpret data, analyze results and make fact-based decisions using data, the actual skill set of using Excel to generate the reports is something that could use some more development. "Exceeding Customer Expectations" by Kirk Kazanjian. This book was recommended to her by a partner who always believed in putting customers first. This book dives deep into Jack Taylor's very simple philosophy that says you should take care of your customers and employees first, and profits will follow. The message is when you put people first and treat everyone as one would want to be treated, that's when the magic happens. It allows one to build and foster long-standing partnerships, hire good people from the ground up and build on that to make for great customer experiences.